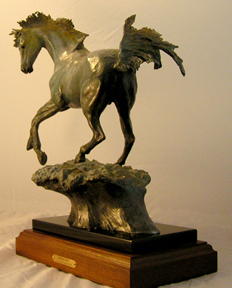 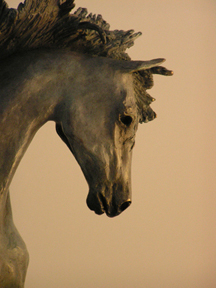 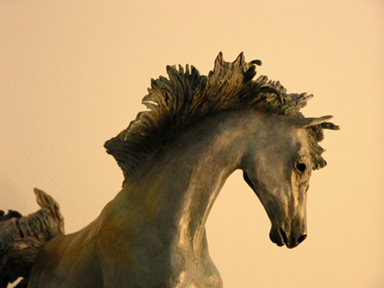 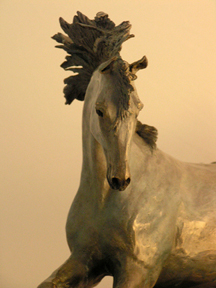 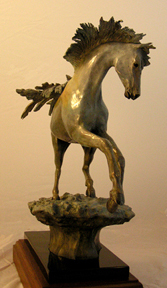 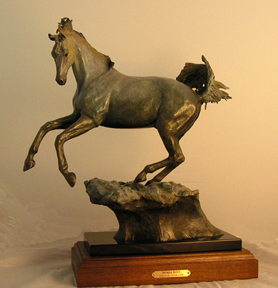 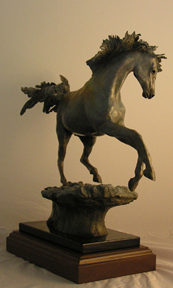 This bronze sculpture is approximately 18" wide by appoximately 20" high. 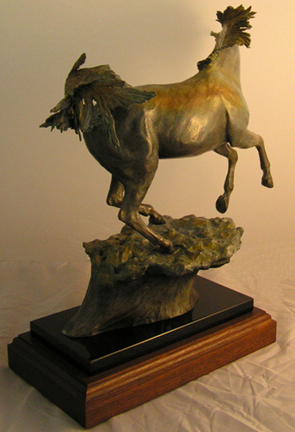 He sits on black marble atop his wooden base. 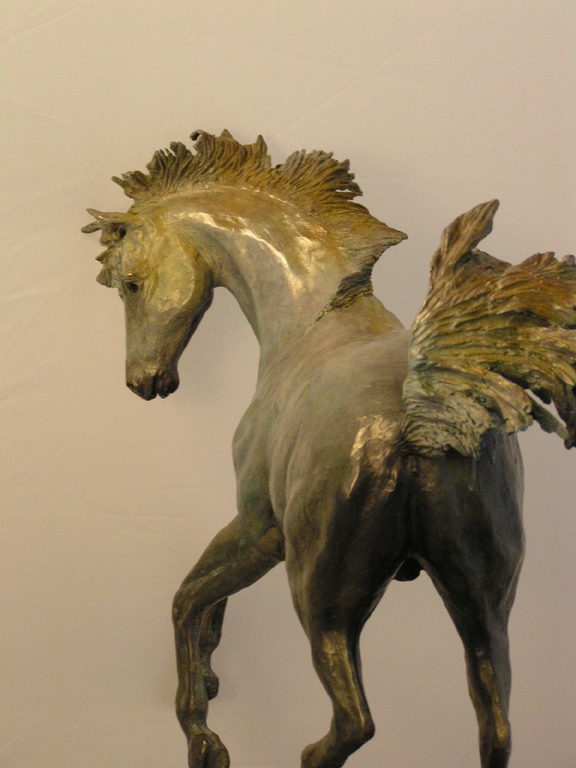 The base is mounted with a lazy susan so he can be rotated and enjoyed from all sides.